A new study out of Michigan State University proposes an eye-opening correlation between college educated police officers and their actions as cops. 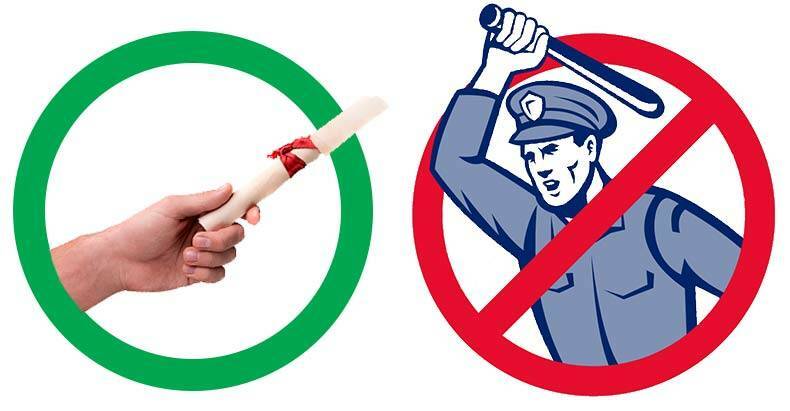 The study suggests that college-educated police experience higher rates of job dissatisfaction. The study also suggests that police officers with college degrees are more likely to have adverse views of their supervisors and don’t necessarily favor community policing. But perhaps the most compelling facet of this MSU study is the evidence that college-educated officers are less likely to use force on citizens. The study analyzed data from 2,109 police officers in seven metropolitan police departments. Although none of the departments required a degree, 45 percent of the officers surveyed, possessed one. Interestingly, the study showed that the type of degree the officer received made no difference in the level of job dissatisfaction. Today’s policing, Terrill said, “is much more about social work than it is law enforcement. It’s about resolving low-level disputes, dealing with loiterers and so on.” Officers with experience in psychology, sociology and other college-taught disciplines might be more adept at addressing these issues, according to the study. This study from MSU tends to corroborate the reasoning behind the US Court of Appeals for the Second Circuit condoning the ability of police departments to discriminate against smart people. The main argument cited by the court for the decision to allow police departments the ability to discriminate is that smart people experienced more job dissatisfaction. However, knowing that educated cops tend to be less violent and to know that departments can legally refuse to hire officers with higher intelligence, one can now have a better understanding of the police state in which we currently find ourselves. A smart person does not create a domestic standing army and call it freedom. A smart person does not deliberately tear gas journalists. A smart person does not point a rifle an innocent person and tell them that they are going to kill him. A smart person does not severely beat a person with down syndrome because he sees a bulge in his pants, which is actually a colostomy bag. A smart person does not continuously shoot at an unarmed man who posed no threat and whose arms are in the air. Another study should be conducted that takes a look at departments who have a majority of college-educated officers and compare the level of force used to another department with a majority of officers who are not college-educated. Perhaps the level of job satisfaction would increase if the departments were made up of intelligent people who are less likely to use force. Maybe, just maybe, the act of policing a society could be done with acumen and compassion instead of ignorance and brute force. One can certainly dream.